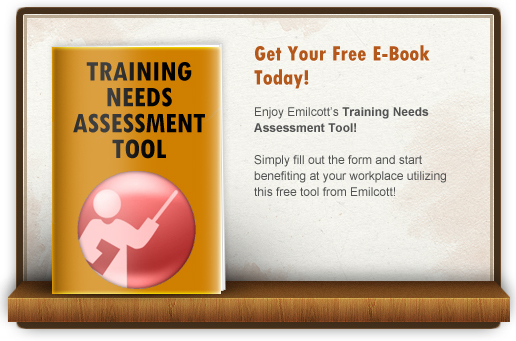 Download Emilcott’s Training Needs Assessment Tool Today! This Training Needs Assessment Tool is designed to help you determine which employees need health and safety training to meet regulatory compliance specific to your operation. Use this tool to ensure that your investment in health and safety training addresses essential regulatory concerns and helps you manage time and costs effectively. Categorize all employees by hazard exposure to determine exactly what training you will need to conduct. Used correctly, this Training Needs Assessment Tool can benefit employees, job safety and productivity while saving on the bottom line.